Dog parents know that their pets like to play with toys. Toys that keep them from chewing on things they shouldn’t, from being bored, and provides them with entertainment to let off some energy. The squeaky plush hide and seek toy will provide this and a lot more. 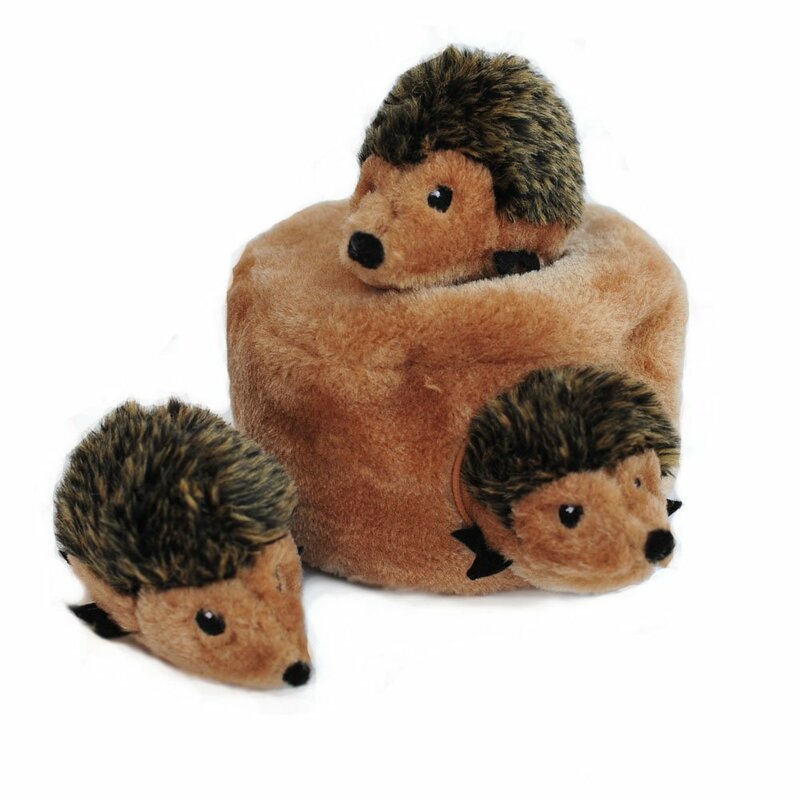 Each toy has three squeaky animals to keep your furry friend busy for hours in trying to remove these animals from their hidden burrows. It will challenge your pet with this interactive puzzle toy. This toy is great for playing games of fetch with the animals inside when the weather outside is bad. The toy this article will be about is the Hedgehog Den toy. 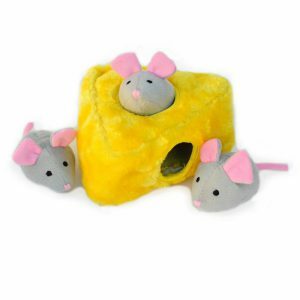 The toy houses 3 squeaky critters and your pet will try to get them out. This toy is great for small to medium sized dogs. Once they succeed in getting out all of the critters, you may want to reload them back into their burrows and let your pet have more fun. Because this is a small toy, it should be under supervision when your pet plays with it. If your pet should be an aggressive chewer, than do not buy this toy as the plush animals and log can be easily torn apart. Note: The price of these toys are subject to change without notice. This product is rated 4.6 stars out of 5, by over 730 customers which is excellent. You can read all of the customer reviews for this toy and the other models by clinking on the following link: Click Here! You can shop for this toy by clicking on the “Buy This Product Now” button below. You will be taken to the Amazon product ordering page where you can select the Hedgehog Den toy or the other models of your choice. 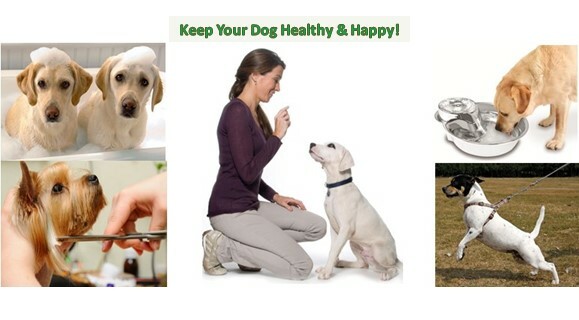 Go to the Dog.Dog Luxury Beds home page. Affordable toy for small to medium size dogs under 50 lbs. Great interactive puzzle toy to keep pet challenged for hours of fun. Squeaky critters will provide your pet a way to remove excess energy. Great toy for playing games of fetch on rainy days. Not recommended for pets above 50 lbs. Requires supervision when pets play with it. Not recommended for aggressive chewing pets.